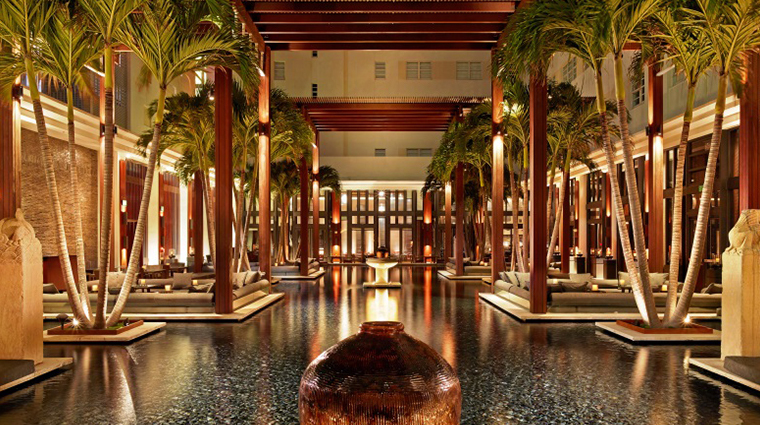 With its Asian-inspired, streamlined decor, The Setai, Miami Beach is a Forbes Travel Guide Five-Star luxury oasis in a sea of crowded, overdesigned South Beach hotels. 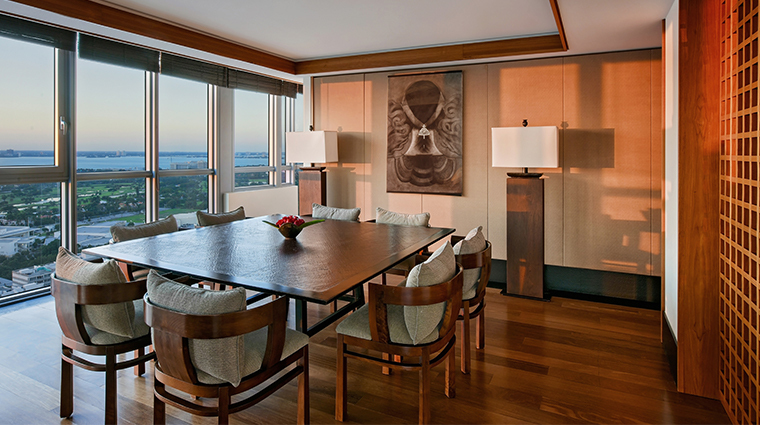 Instead of bright colors or bustling public spaces, The Setai, Miami Beach sticks to soothing, understated neutrals in the rooms and lobby, giving the space a residential feel. 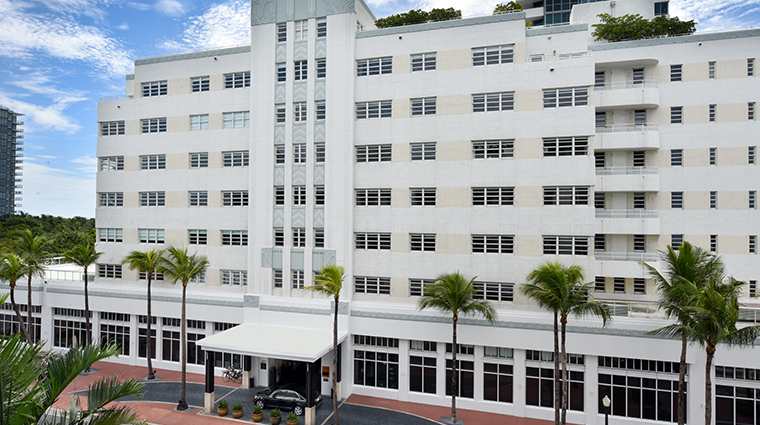 That concept extends to the guest suites; spread over a historic 1930s building and newer tower, they're stocked with everything you need to feel at home, from rainshowers to Bose surround sound stereos. The hotel's three Art Deco pools are maintained at different temperatures to give sun worshippers a variety of places to take a dip, while the beach and Atlantic beckon just beyond the property. 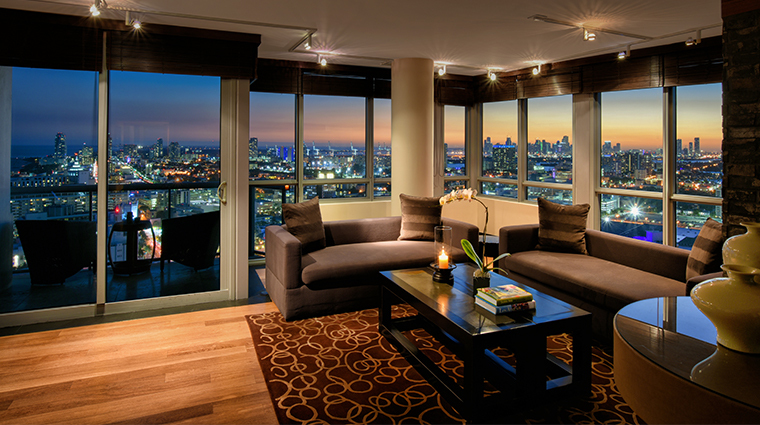 The design concept of The Setai merges the Art Deco movements of South Beach and Asia. 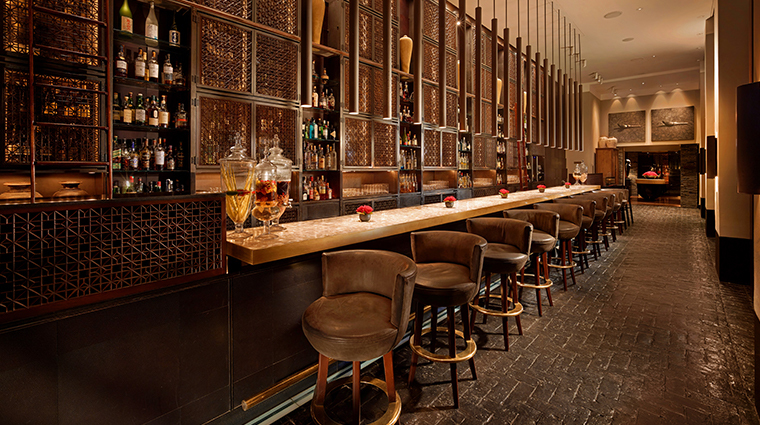 And it’s apparent the moment you step foot in the lobby — the antique gray brick flooring was actually transported brick-by-brick from an Art Deco building in Shanghai. 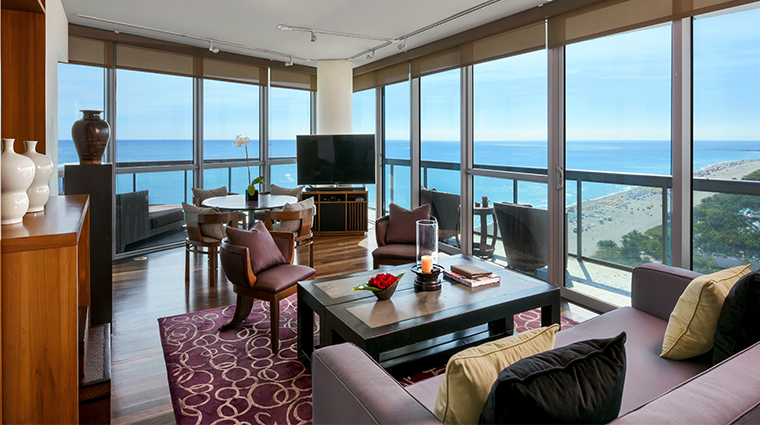 The floor-to-ceiling windows in the newer Tower suites offer sweeping views of the Atlantic and what seems like a mile long stretch of South Beach. It’s easy to spend the day lounging in one of the oversized daybeds by The Setai’s three azure pools, each separated with hedges for privacy. 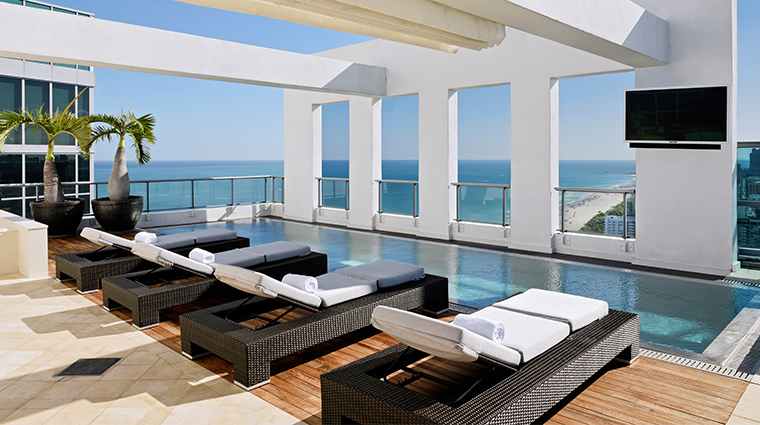 With varying temperatures, you can choose which pool is the perfect fit for your afternoon dip. 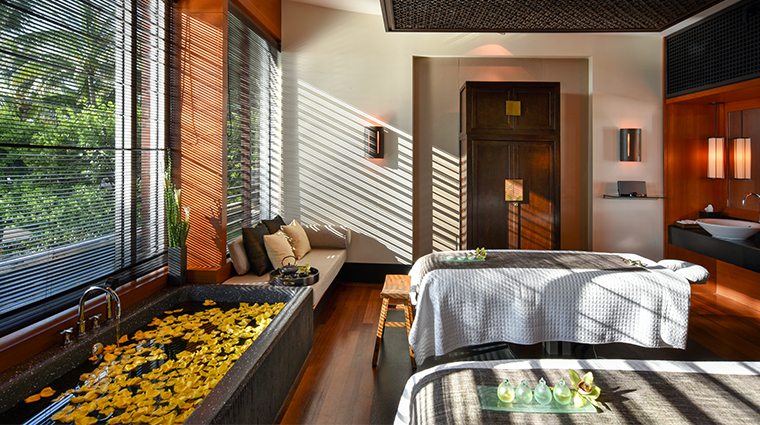 The Spa at The Setai contains just four private spa suites, each complete with its own bathroom, steam shower and robe and slippers to lounge in. 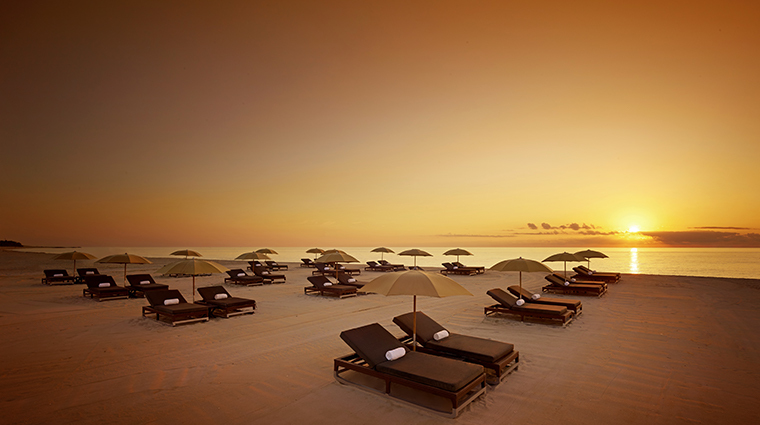 The spa’s traditional treatments incorporate the healing techniques of Bali, India and Tibet. 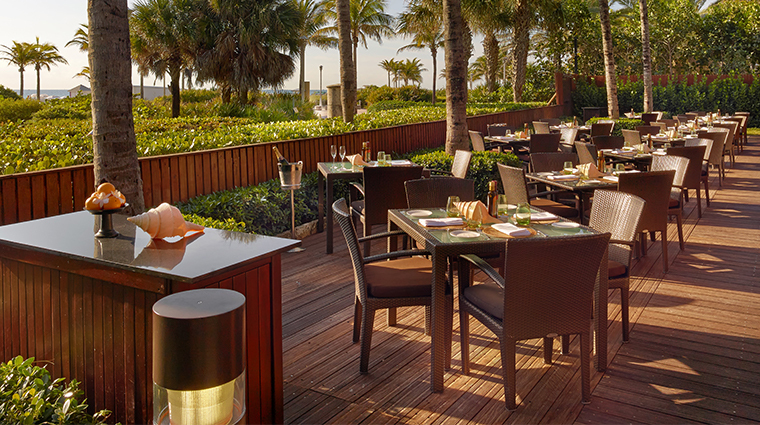 From Jaya's inventive Asian cuisine to The Ocean Grill's fresh seafood, the hotel is well stocked with amazing food. 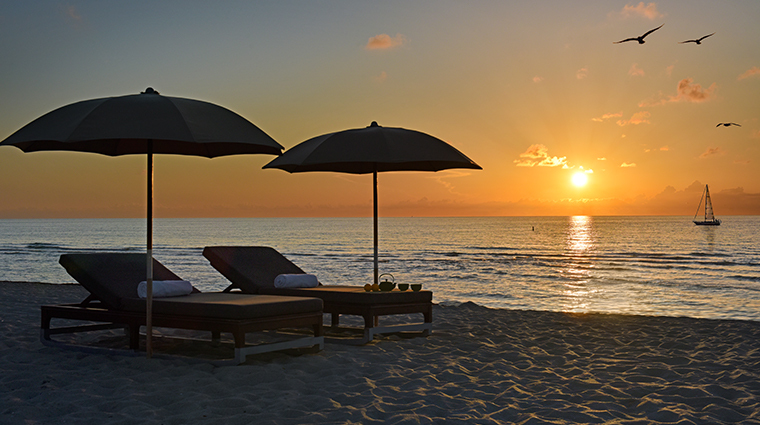 The hotel consistently has the highest room rates on the beach, but the beauty of the property and the attentive service more than makes up for it. 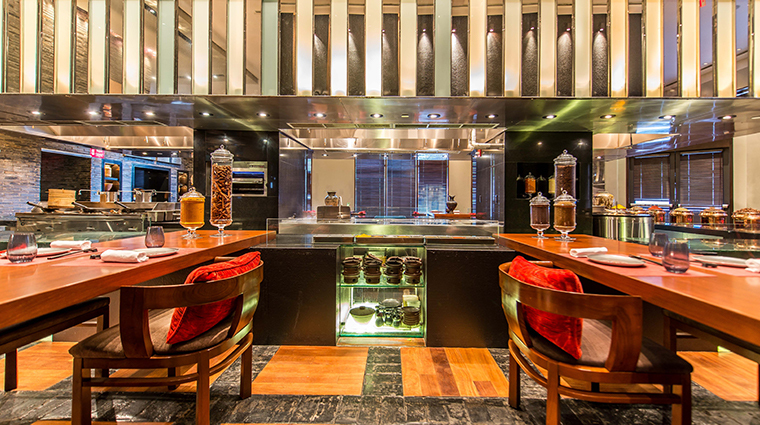 While The Setai is child-friendly— the spacious suites have kitchens located in the Tower and the family pool—there are not many activities or amenities designed just for your little one. 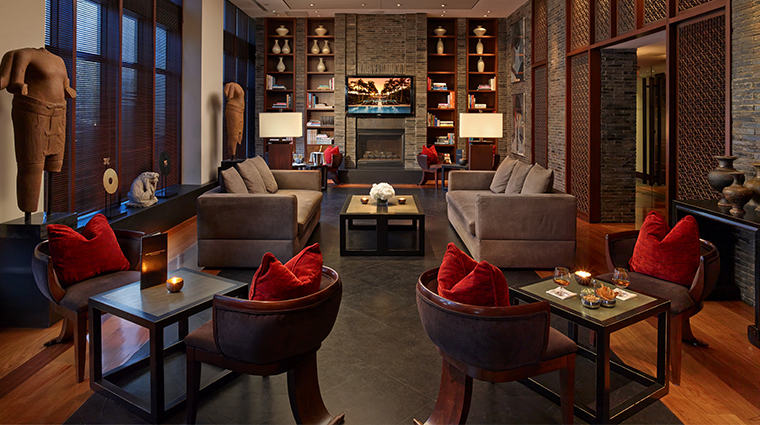 There is no dedicated relaxation lounge in the spa, so plan your arrival and appointment accordingly. 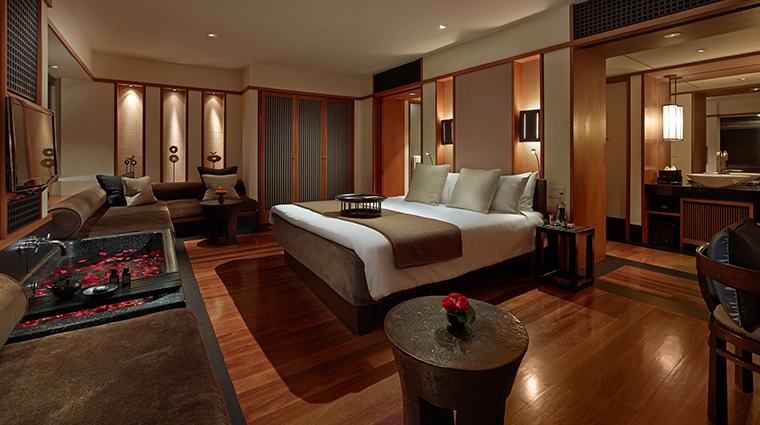 The chic and comfortable rooms have a definite spa vibe and feel. 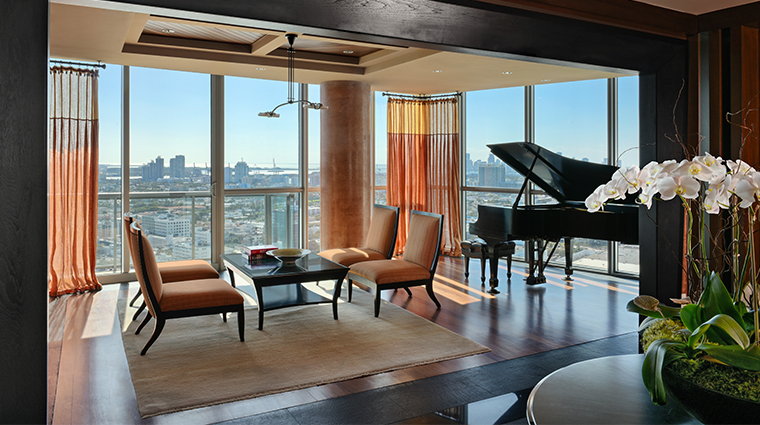 Clean lines in teak wood dominate the studio suites in particular, with accents of black granite adding to the dramatic look. 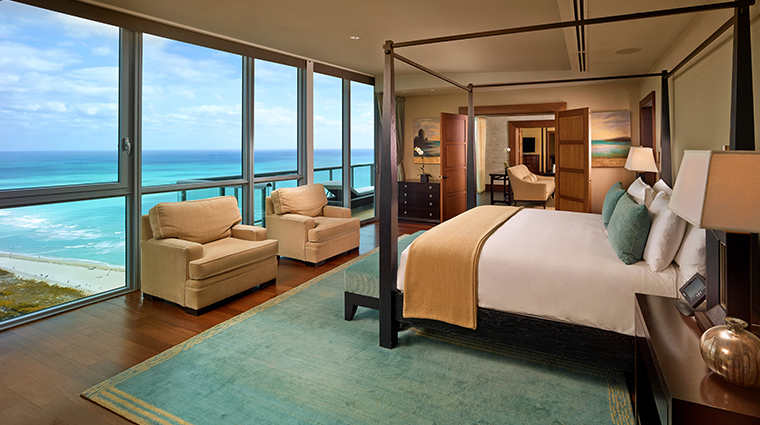 Rooms in the Tower building feature floor-to-ceiling glass windows that bring the beach right to you, with a similar design to the Art Deco rooms. 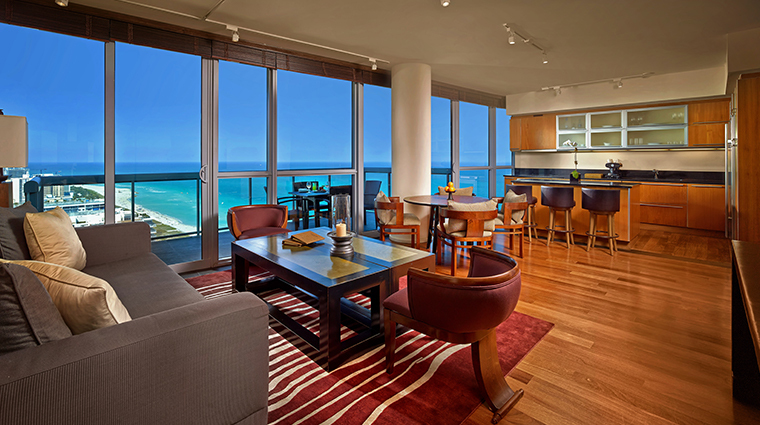 The rooms in the Tower building also benefit from having spacious living areas and gourmet kitchens, as well as large balconies and dramatic ocean views. 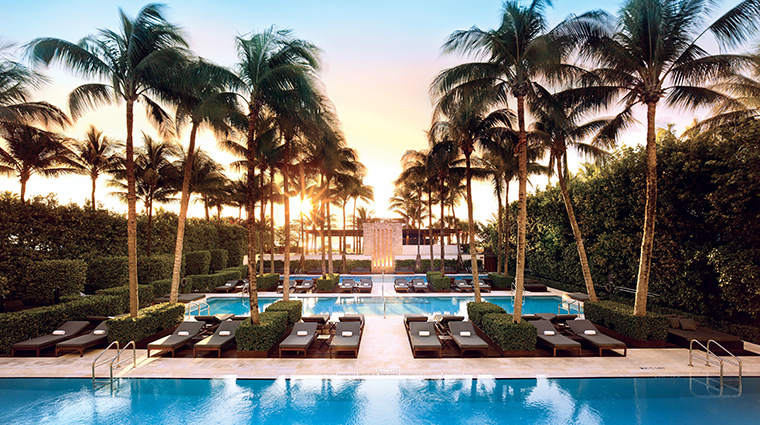 The design concept of The Setai, Miami Beach is “Design Art Deco fusion,” a philosophy that melds the Art Deco architecture of South Beach with the influence of the Art Deco period in Asia. You’ll feel more than welcome amid the natural materials, expansive space and light filling up Jean-Michel Gathy’s beautifully planned design. 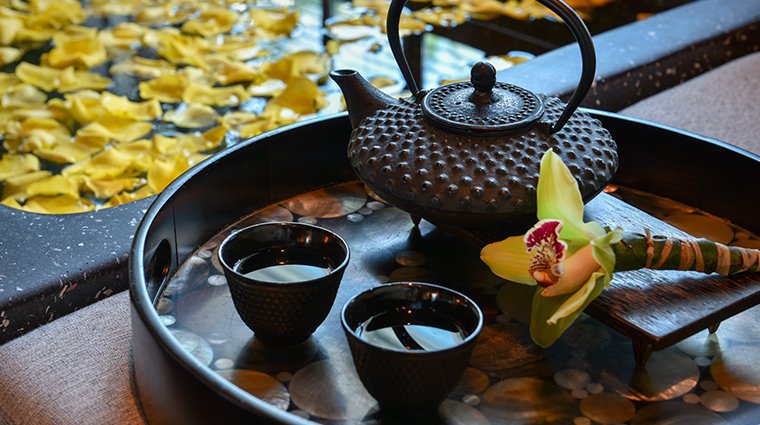 The tasteful décor has an underlying Asian aesthetic and values, from the antique bricks on the lobby level salvaged from Shanghai’s Old City to the Asian-style teacups used in place of regular glass tumblers in the guest room bathrooms at The Setai, Miami Beach. 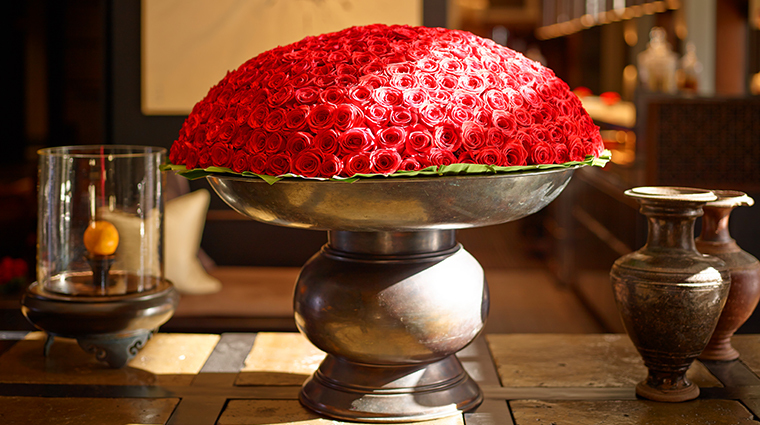 The lobby’s jaw-dropping mother-of-pearl bar and the handmade Duxiana king-sized bed topped with Frette linens are enough to tip you off that this resort is pure luxury.